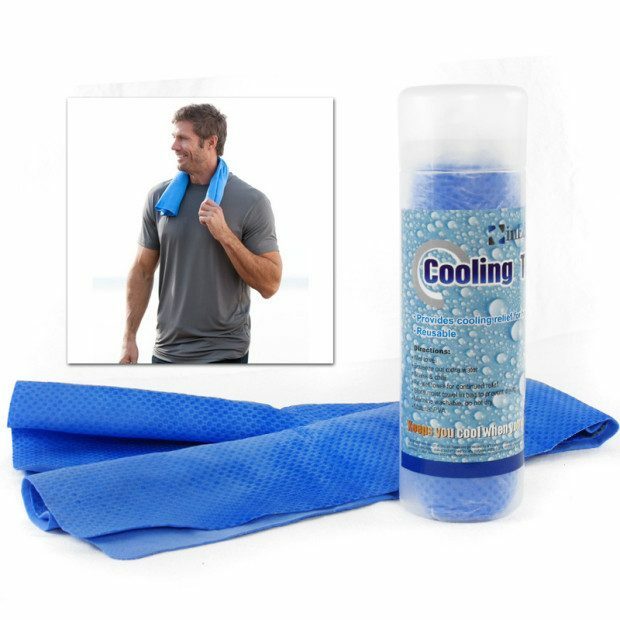 Instant Cooling Towel Only $4.99 Plus FREE Shipping! You are here: Home / Great Deals / Instant Cooling Towel Only $4.99 Plus FREE Shipping! When you’re working out hard or out in the hot summer sun, it’s easy to get overheated! For relief, grab one of these Instant Cooling Towel for Only $4.99 Plus FREE Shipping The all-natural cooling towels quickly lower body temperatures up to 20 degrees without requiring refrigeration. To activate, soak the towel in cool water for about 1 minute, then wring it and shake out the excess moisture! ***Extra Deal – Buy more than $10 in items at 13Deals, use code GIFTGIVER at checkout to get a $5 gift code sent back to you for use on future deals!